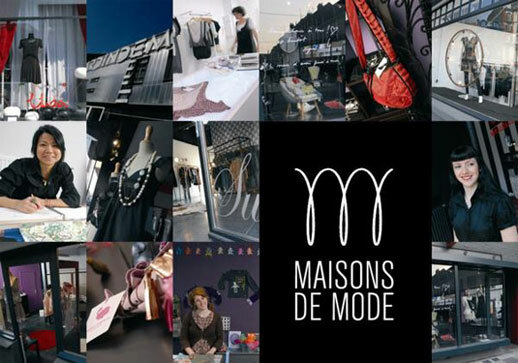 You hear a lot of talk about city economic development agencies emphasizing the importance of the creative industry, quality of life and the downtowns/main streets, but seldom do you see a program that backs that up as succinctly as Lille, France’s Maisons de Mode (Houses of Fashion). Essentially, the City of Lille, understanding the economic multiplier of supporting the creative industry and vibrant downtown quality of life, invests in store construction, low rents and free publicity to support the city’s rising fashion entrepreneurs in targeted up and coming creative neighborhoods that are positioned as future garment districts. The city catalyzed the openings of 8 stores in 2007 on the Rue du Faubourg des Postes, and 16 in 2008 in Roubaix, along the Rue de l’EspÃ©rance and the Avenue Jean Lebas. What isn’t entirely clear, but is the key ingredient to the program’s success, is determining, or rather, gatekeeping which fashion entrepreneurs are not only going to succeed financially, but add to the creative vibrancy of the neighborhood. This is something cities are averse to doing, and explains why many of these programs failed in the past. However, it’s also how Italy got their Renaissance. Read more about the individual stores in In Lille, urban renewal with a boho-chic twist from the International Herald Tribune of the New York Times. Thanks to Brian Corrigan for the reference!